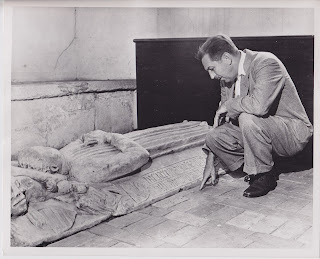 Walt Disney pauses to examine one of the crypts in a small church in Ireland. 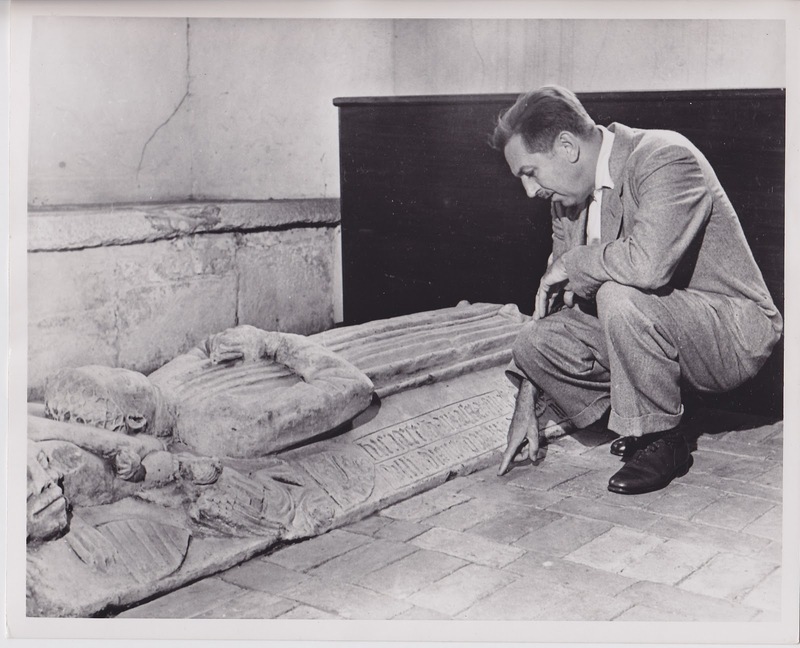 Disney's forebearers originally came from Ireland, and during his trip to Europe in 1951 he made it a point to visit the farms, villages and churches of his great-grandfathers. 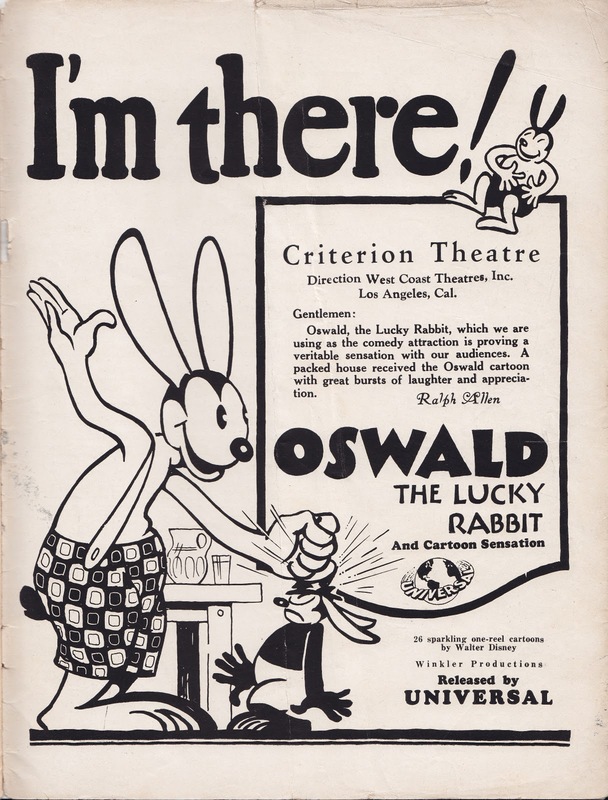 If you look closely at around where Walt's right hand is you'll make out the name Disney, at least it looks like it says Dsiney. 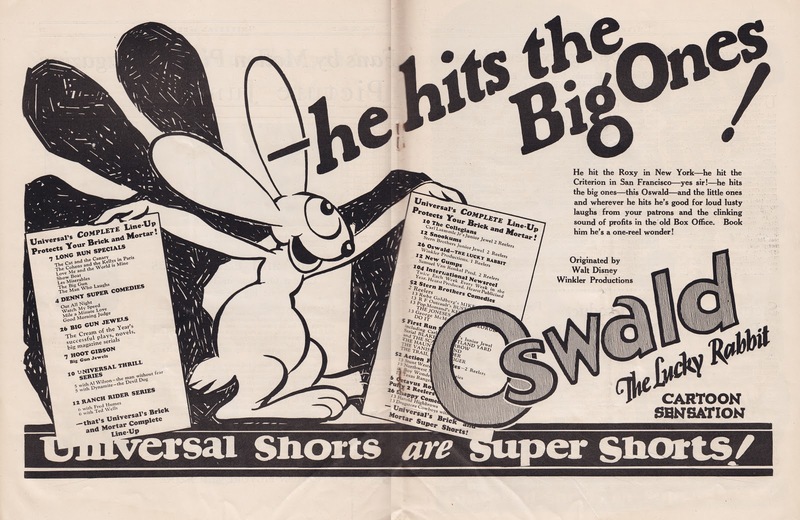 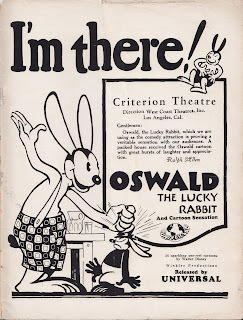 Happy New Year everyone, it occured to me yesterday that this year will mark the 85th anniversary of Oswald The Lucky Rabbit. 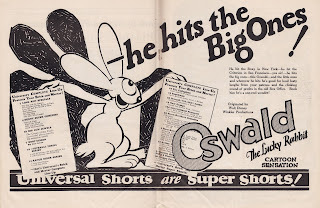 Here are a couple of ads from the Universal Weekly, I find it odd that a/ the artwork looks nothing like the character and b/ that the Disney artists weren't paid to do it.